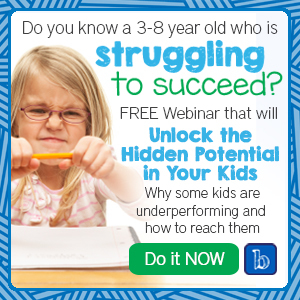 Fear not, in just 60 minutes I will give you relevant information for both parents and educators to Unlock the Hidden Potential In Your Children. I have been working tirelessly to find the best information to help you figure out why your kids are under performing in school and give you great ways to finally reach them and break the cycle. I encourage you to sign up to attend the event so you can receive the recording of the event with all of the relevant information to help you reach those bright but struggling kids in your life. I can’t wait to share my solutions with you and get your kids started on the journey to success!